Researchers at UC Riverside have used astrophotography as a portal to engage non-science majors students into science, and report their findings in the International Journal of STEM Education. Astronomy is a gateway into science. The concepts and questions it acknowledges create a sense of wonder and awe. Its biggest assets are the riveting images produced with the advent of space telescopes, adaptive optics, robotized missions, and the communications era, which inspire us and promise answers to big questions. Amateur astronomers produce dozens of new discoveries every year, driven by a childhood or adolescent interest in astronomy which was not pursued as a career opportunity. With the overwhelming amounts of data that exist today, the ability to mine and reduce data is of utter importance in any field of research. However, there are some factors that keep a large fraction of the general audience from participating or using natural sciences. One of the main such factors is mathematical anxiety, which is a feeling of tension and fear that accompanies math-related activities which threatens achievement and participation in the natural sciences. The research was recently published in the International Journal of STEM Education under the title “Astrophotography, a portal for engaging non-STEM majors in science.” Profs. Gabriela Canalizo and Gillian Wilson, co-authors of the paper and faculty members of the Department of Physics and Astronomy, found that due to the required hands-on approach of astrophotography, a high percentage of students reported a better understanding of how astronomical instruments work, the use of data reduction and image processing techniques, reported the course a very good exercise in science, and would consider taking astrophotography as a hobby, which has been shown to later produce amateur astronomers. The incentive to create potential citizen scientists is of special interest, as they are currently pivotal in data mining, especially in areas where big data is handled. Research shows that (among other reasons) interest and positive experiences in science earlier in life can help stimulate future individuals engaged in science. With a high percentage of the courses’ students majoring in social sciences, humanities, and arts, the researchers succeeded in seeding positive background experiences in the natural sciences that would have otherwise not been available to them, making them learned citizens unafraid of approaching science. The experiences acquired at UC Riverside, during the two years the course has been offered, are reported in the research paper. The authors hope that astrophotography can be actively taken up elsewhere, as the results are very encouraging to use it as an effective educational tool to engage non-science majors in science. The research paper has been published in the International Journal of STEM Education. 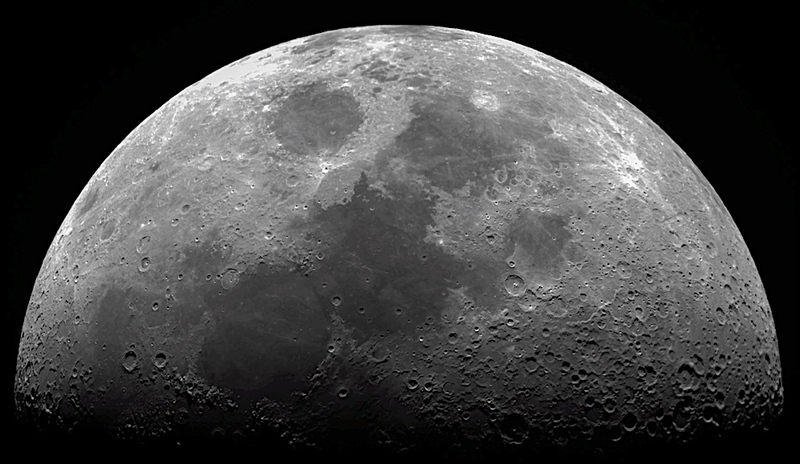 Image: The Moon photographed by UC Riverside students in the astrophotography courses.